Quickly cleans the fuel system from vanish and carbon deposits. Improves engine power up to the initial level. 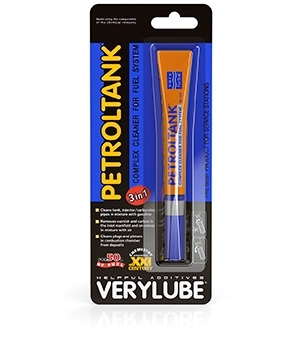 Improves operation of injectors and spark-plugs. Protects parts of the fuel system from corrosion. 1. Squeeze out the contents of the tube into the petrol tank. Avoid the substance getting on lacquer coatings. The cleaner is safe for catalytic converter, oxygen sensors, and general mechanical rubber goods; when dissolved – for plastic parts.